We would like to thank you for the tremendous success of our AirDrop campaign – 125K users and growing! Opu Labs is now turning our focus from social engagement to the expansion of our skincare analysis service. Our goal is to better understand your skincare needs so we can provide you with the best options on skin care products and treatments. Opu Labs today introduces our first Skin Care Research Challenge. 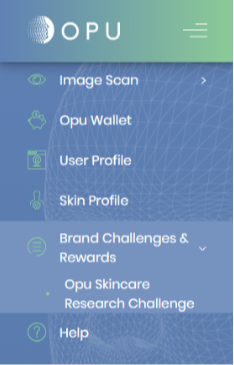 We will provide users who have completed an Opu skincare profile with the ability to earn at least 2000 OPUs for completing the survey. The first part of the survey should take approximately 15-20 minutes to complete. Participation will be guaranteed for the first 1000 users who complete all the steps. You can find the challenge on the Opu menu. Register and complete the challenge on our website to receive OPU Coins as your reward. Opu Labs enables you to positively improve your skin health. As your Pocket Skin Care Advisor, Opu Labs will provide users with exclusive access to treatment centres, brand specialists and product manufacturers. And all at your fingertips. Stay tuned for more reward programs from our skincare brand partners.